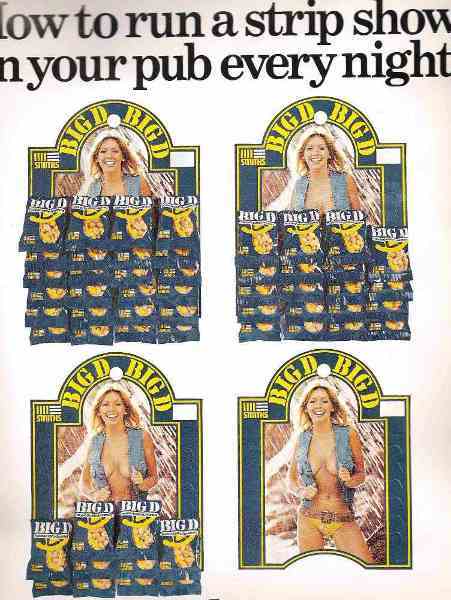 Beverley was the Big D Nuts girl for over a decade, starting in 1975. 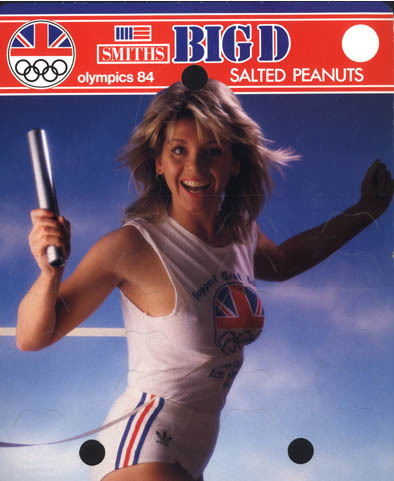 Prior to that, the late Vivien Neves appeared on the cardboard packet holders. Here are some Big D Nuts promotional pictures, many of them being these cards. Some of the cards' pictures also appeared on the calendars, so there is some duplication of pictures.